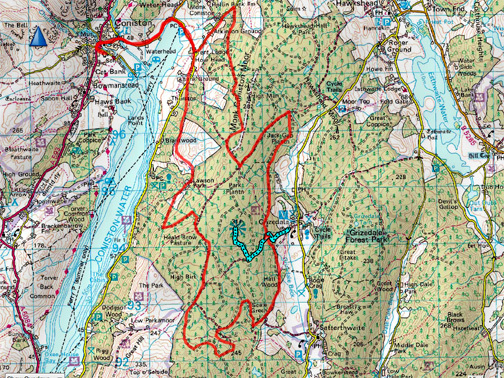 " Taylor Wimpey - Coniston Challenge - 2016 "
Date & start time: Saturday 4th June 2016, 6 am start. 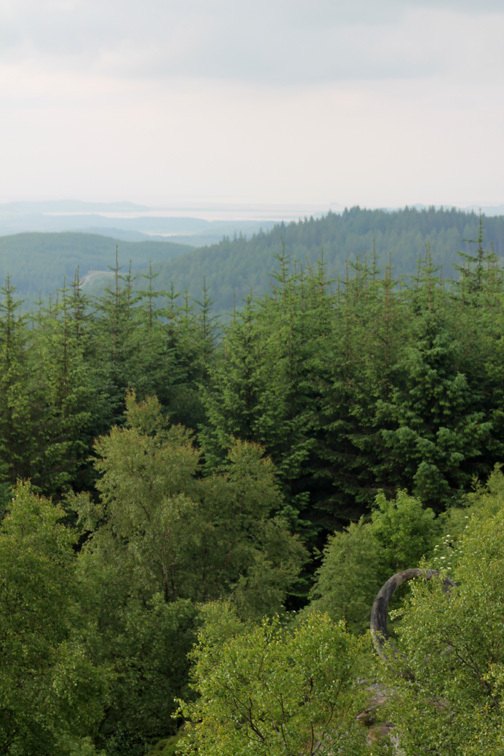 Places visited : Grizedale Forest Centre and Carron Crag. Walk details : 2.4 mls, 700 feet of ascent, 1 hour of walking in a13 hour day. 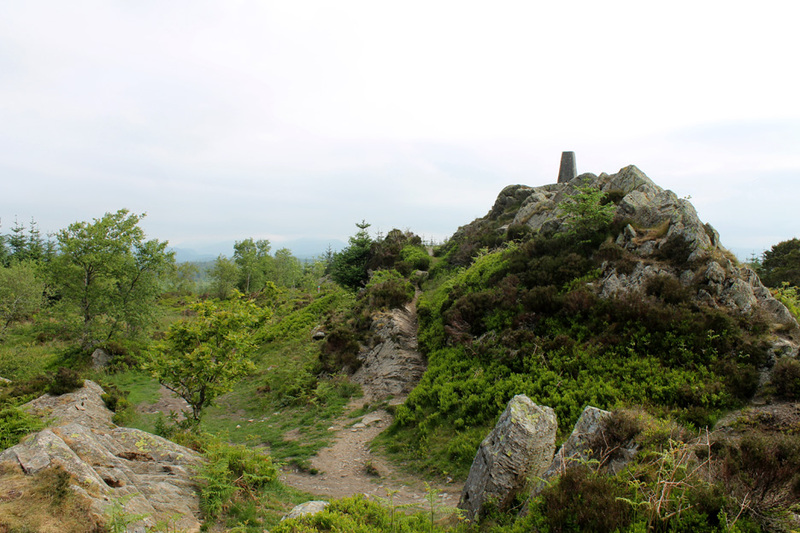 Highest point : Carron Crag 1020 ft - 314m. 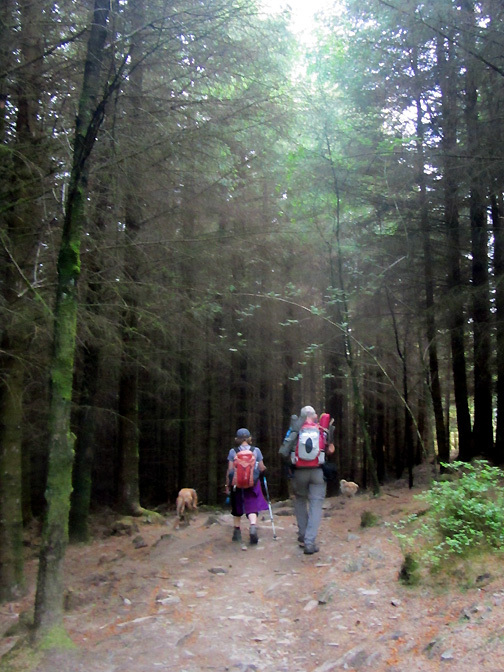 Walked with : Myself and Dylan, joined later by Ann, Jo, Harry and Amber. 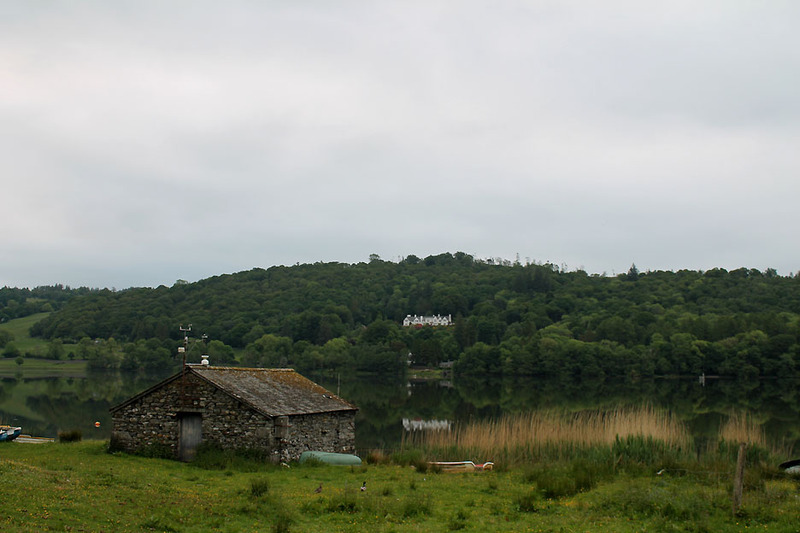 Weather : Sunny but overcast start, cloud on Coniston Old Man for a time, clearing. It has been a lovely few weeks of weather, with hardly a serious cloud in the sky. We've not had the poorer weather of the Midlands or the east coast. 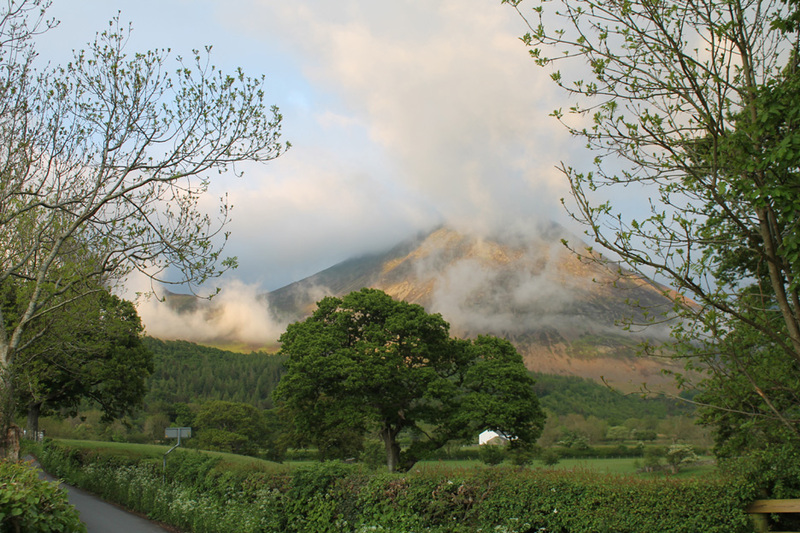 Lovely balmy weather over Loweswater recently. 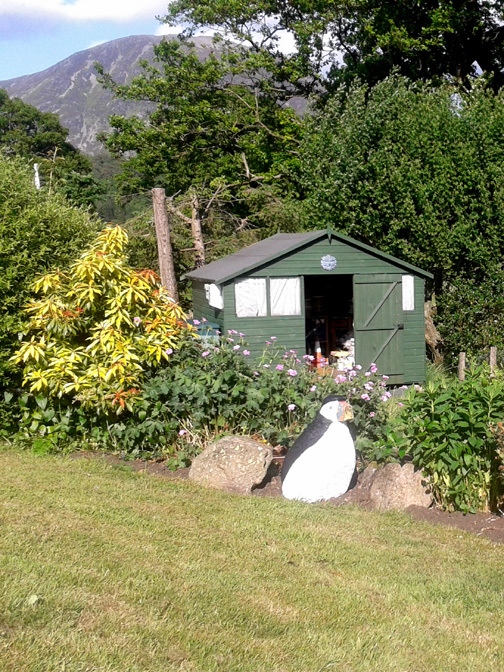 The Loweswater Puffins are enjoying a new coat of paint. Time . 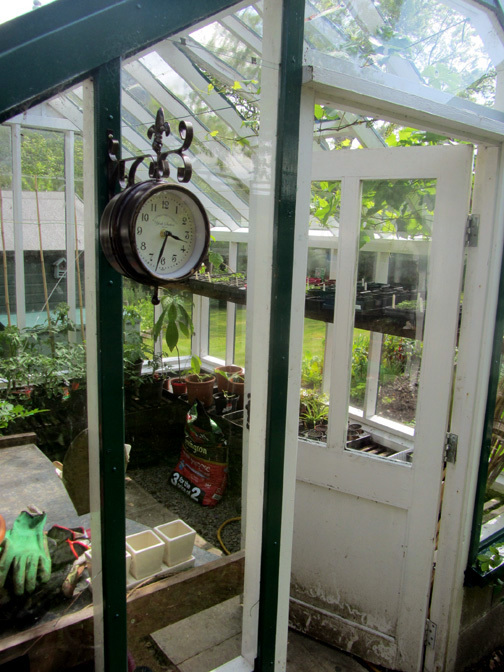 . . spent in and out of the greenhouse. The garden jobs are all being done, the suncream bottle is emptying fast, and everything is well here in our part of the world. Last Saturday I was on hand, this time as radio relay, for a three-event challenge for teams from Taylor Wimpey North West. 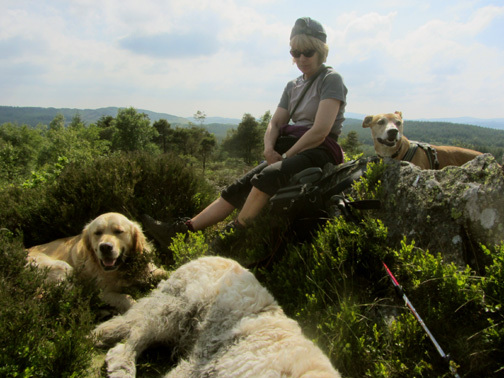 Their sponsored event is raising money for the Youth Adventure Trust . 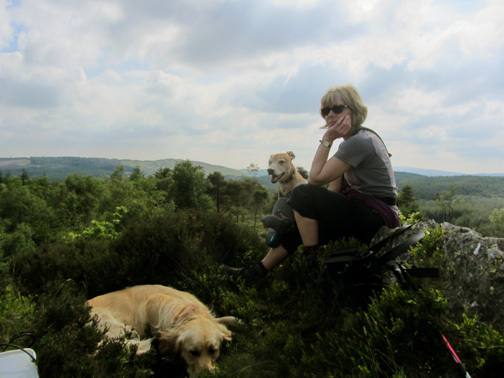 . . and I'm on Carron Crag overseeing the cycling part of the day. 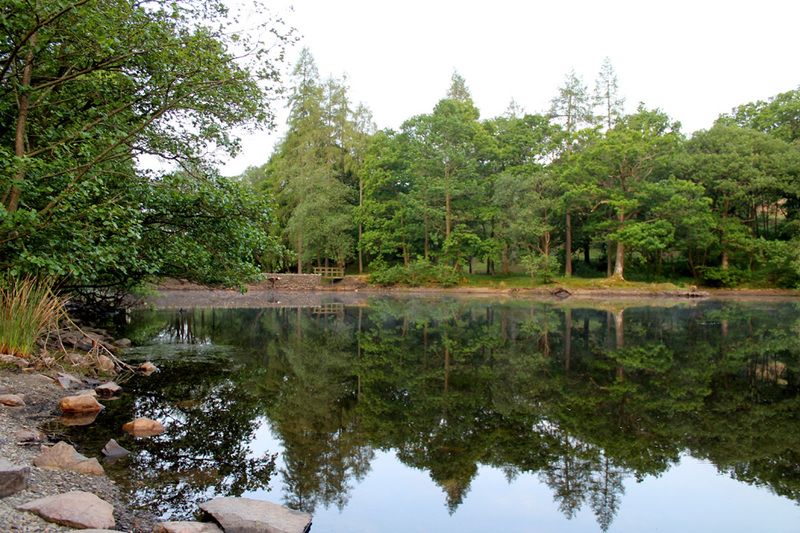 The multiple teams of 4 or 5 people will take turns to climb The Old Man of Coniston, canoe on the lake and cycle round the forest. It will be a long day I think. The bedside alarm went off at 4.15 am and I'm on the road by quarter to five. 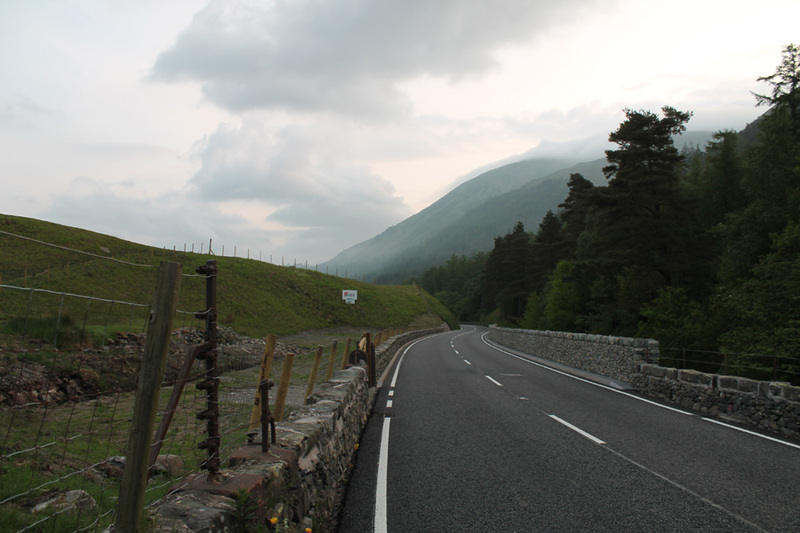 This picture was taken on the repaired roadway of the A591 at Dunmail Raise. 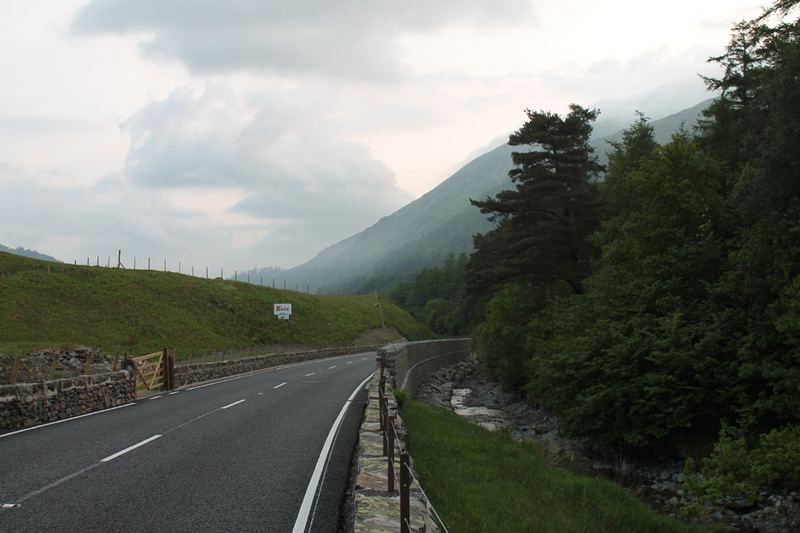 The roadway is now open which saves a lot of time this morning on the road journey to Coniston. They've cleared more trees, removed loose roadside rocks, re-built culverts, re-built this bit of road and tarmaced the whole lot from Swirls to here. Nice job . . . if far too long before it was re-opened ! 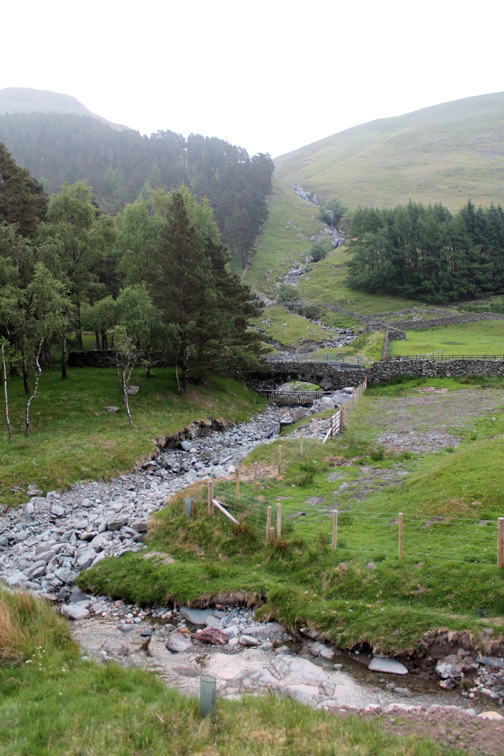 Birkside Gill and Raise Beck in the next photo . . . 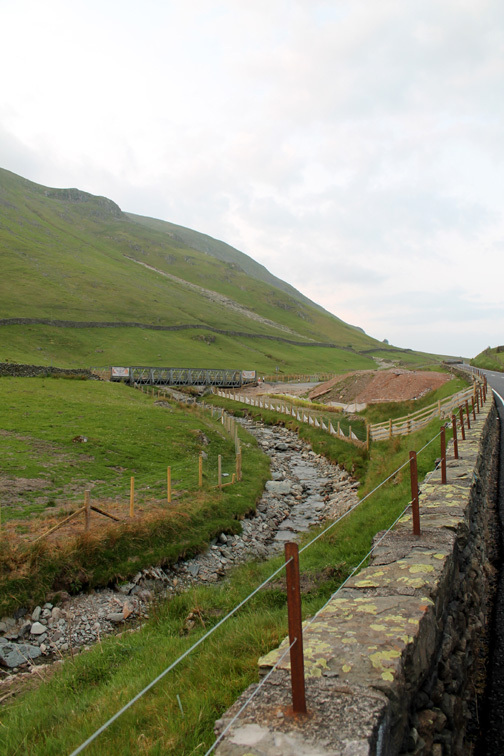 Note the large amounts of gravel and erosion on the fellside in both pictures, testament to the water flow that day back in November 2015. Sunrise was at 4.40am by the way. 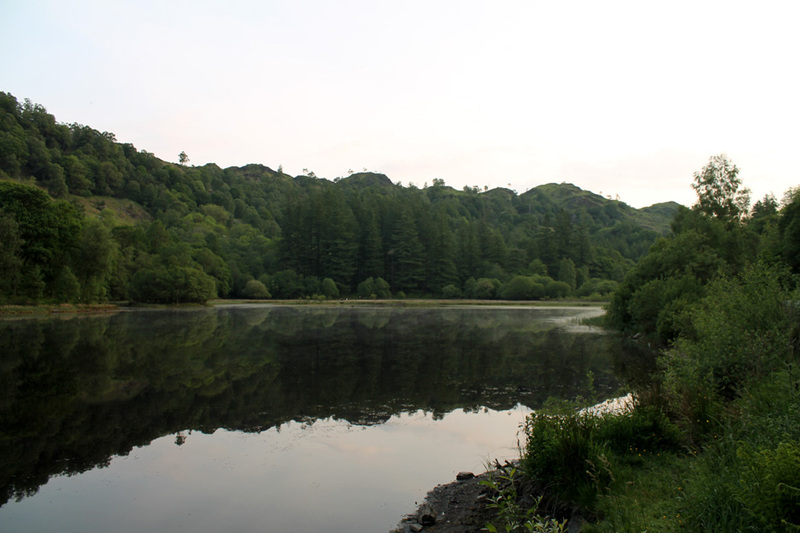 The mist is just forming on the surface of Yew Tree Tarn. With no wind the reflections are superb. 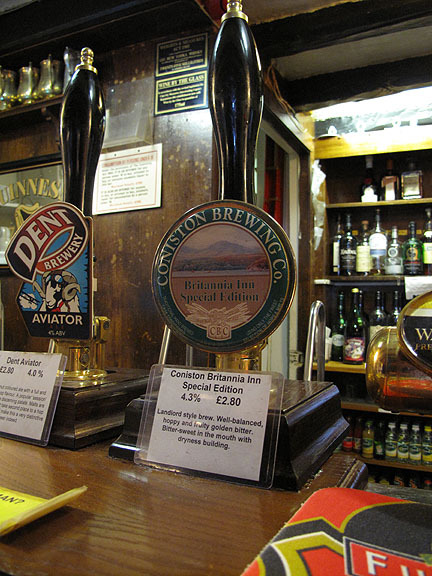 John Ruskin School in Coniston. 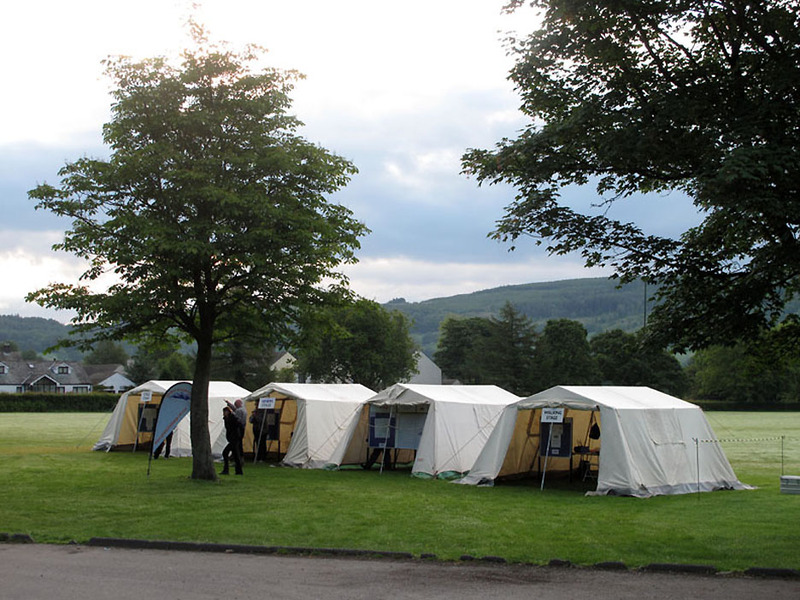 plus an admin and relay tent for the organisers. I'll be talking with them by radio during the day. I collect the kit I need and set of by car for Grisedale. 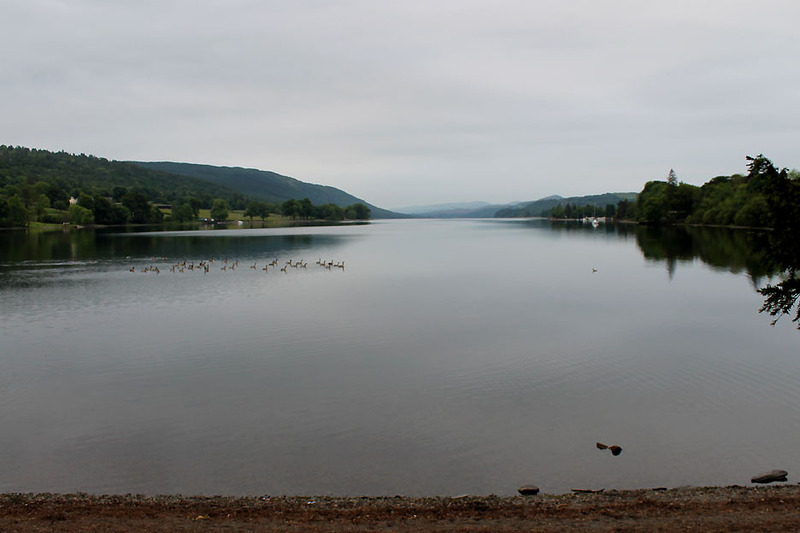 A rather overcast Coniston Water from the head of the lake. Broom Riggs House on the other side of Elterwater. 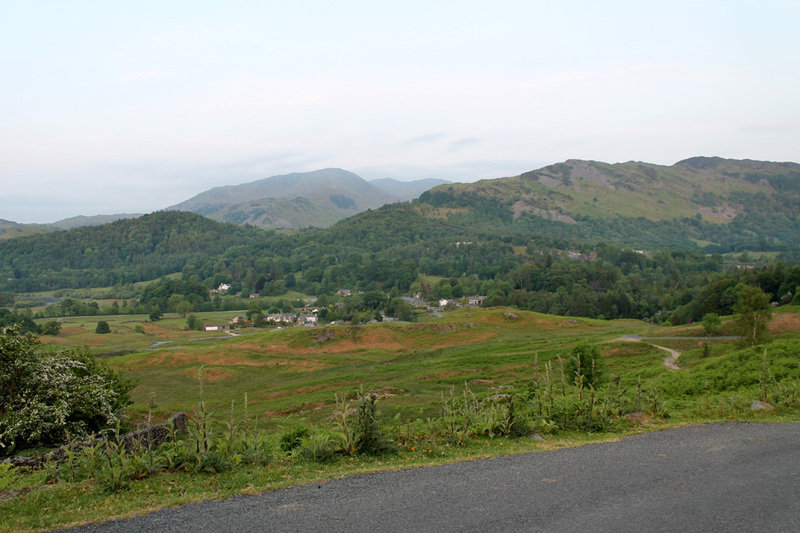 Hang on . . .if that's Elterwater then I've gone the wrong way . . . 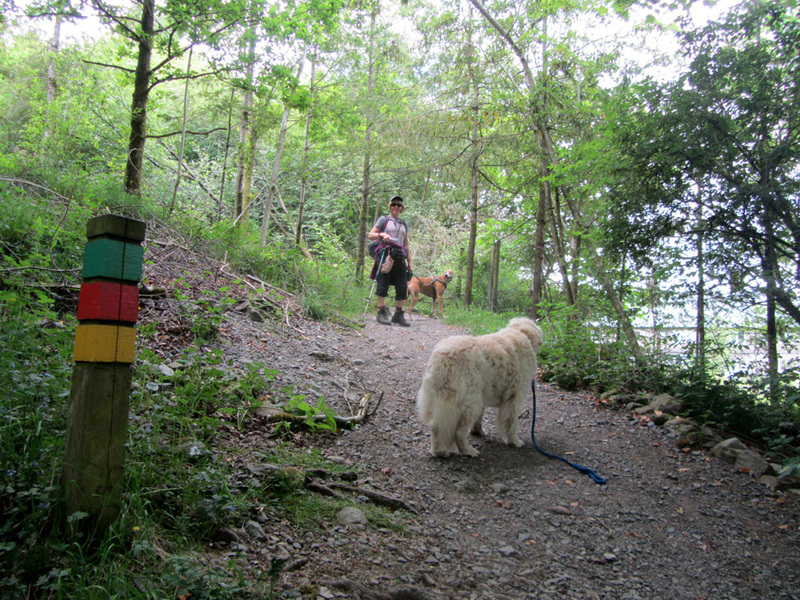 I double back and take the rather hidden turn to the Grizedale. 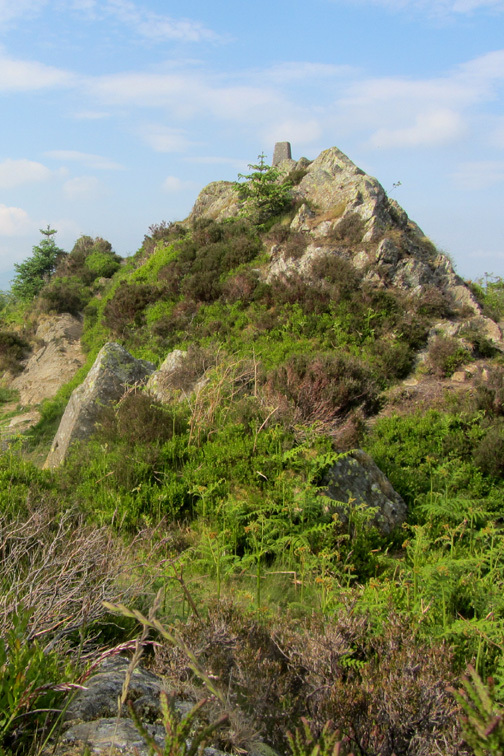 set off in the oppressive heat of the muggy morning to find the summit of Carron Crag. 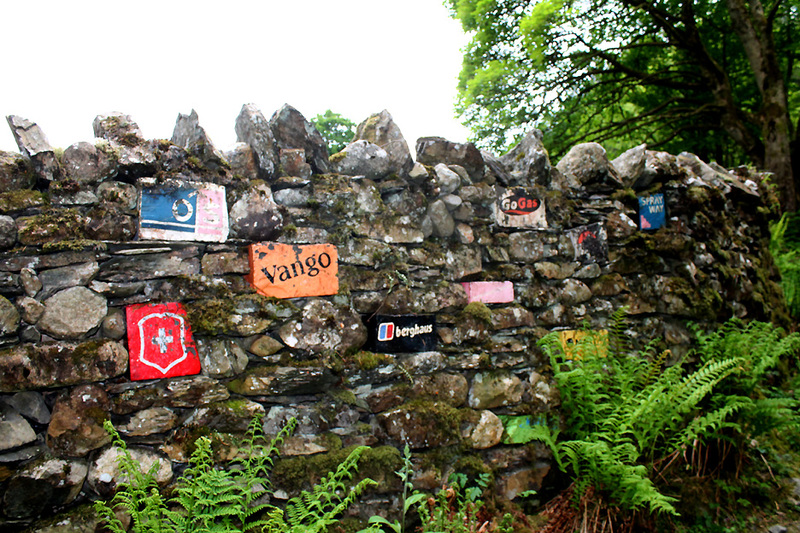 Apparently these good companies have sponsored the Grizedale Activity Centre over the years so have gained an advert on the wall. 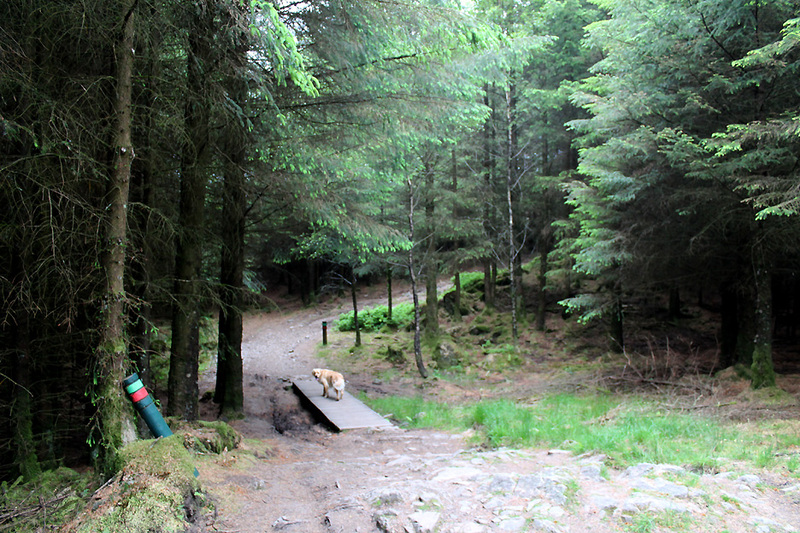 I head up the track, occasionally a roadway, a bridleway or a gap in the trees. 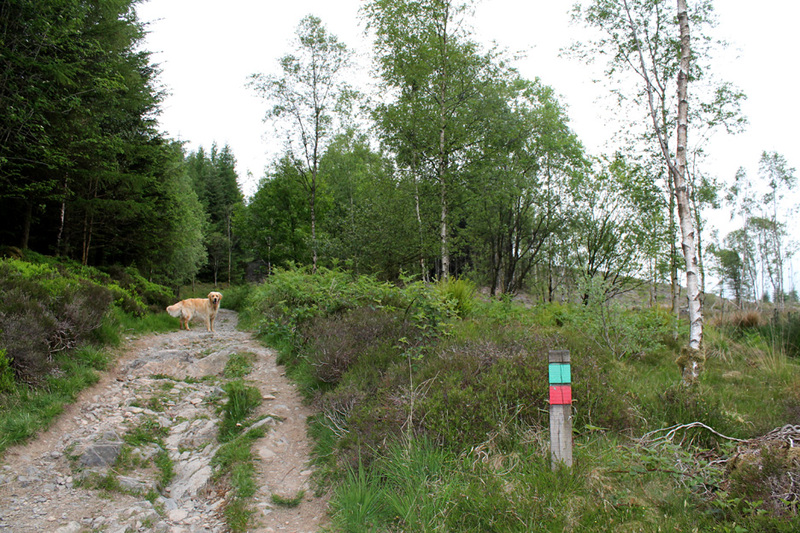 The green and red markers lead to the summit apparently . . . but I didn't have a forest map. 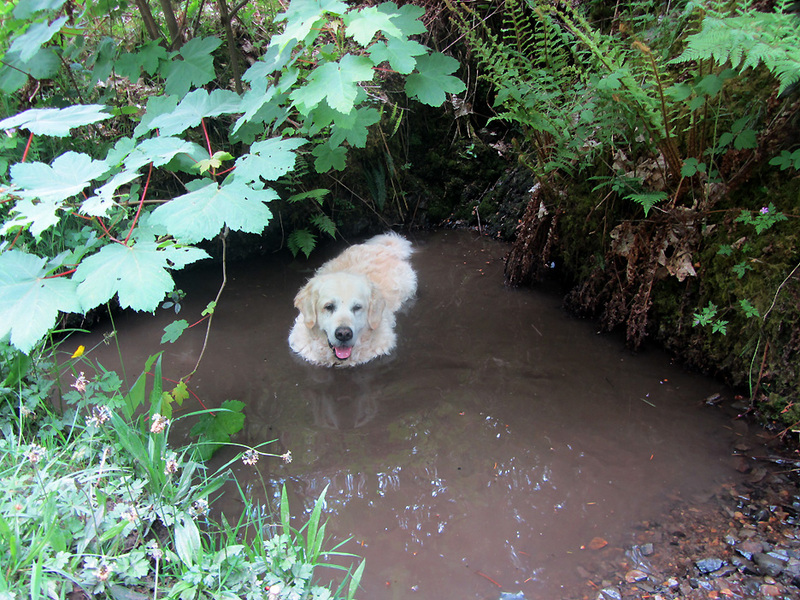 Navigation was fairly easy . . . I followed Loweswatercam photos from five years back when I last took part in this event. 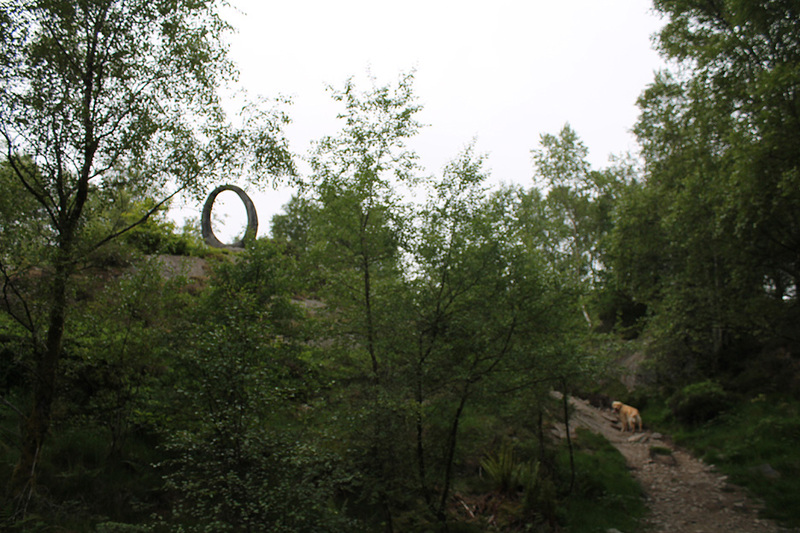 I'm on the right track as I recognise a fine piece of forest sculpture. . . but I'm sure there weren't as many trees back then ? 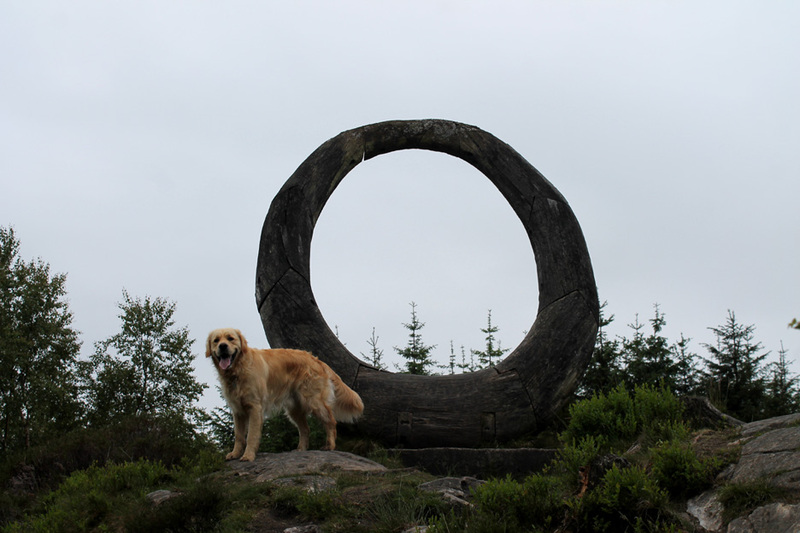 Dylan, my sole companion for most of the day, climbs up to have his photo taken by the wooden sculpture. It seems to have survived the ravages of time reasonably well. That's it . 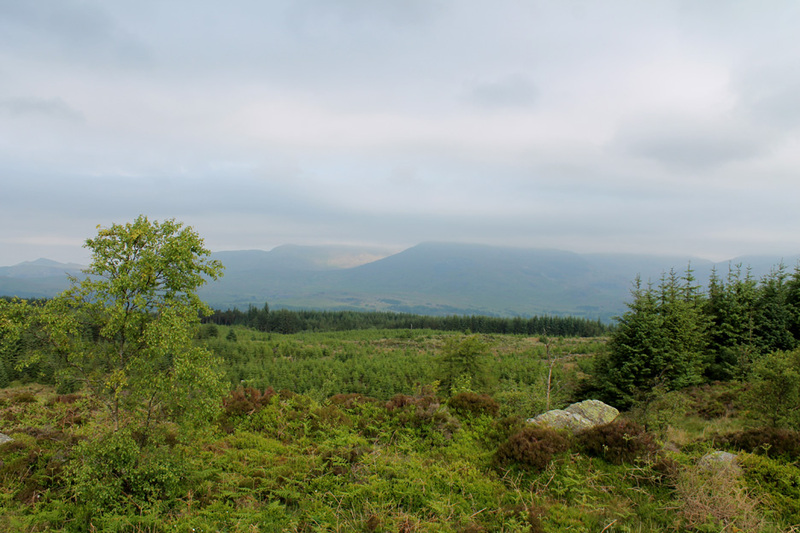 . . Carron Crag, the highest ground around ! 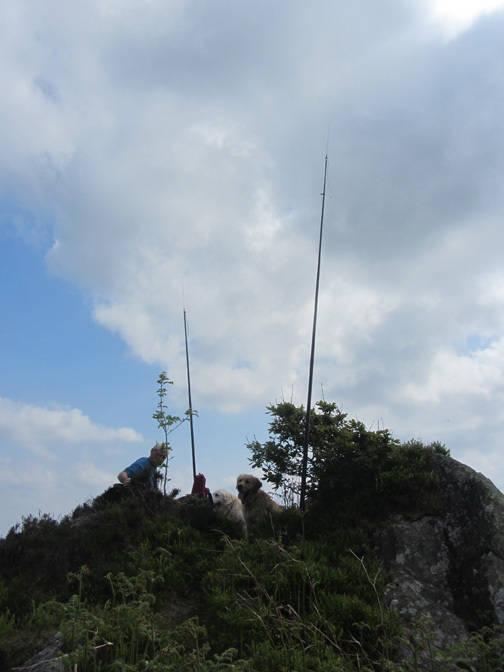 which is out of radio contact with Challenge Base back at Coniston School. The map at the top of the page shows the cycle route in red . . . my shorter walking route in blue/green. 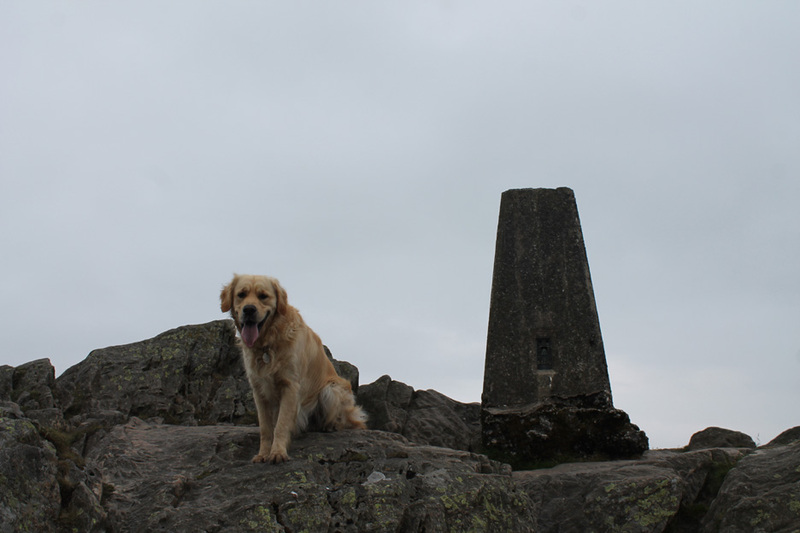 The summit and he's top dog in the forest today. 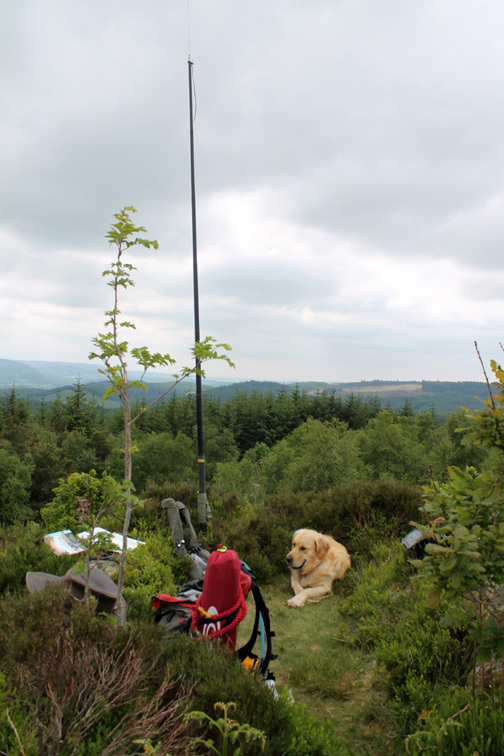 The radio mast allows better communication with the teams. The hazy view south west from my resting place. 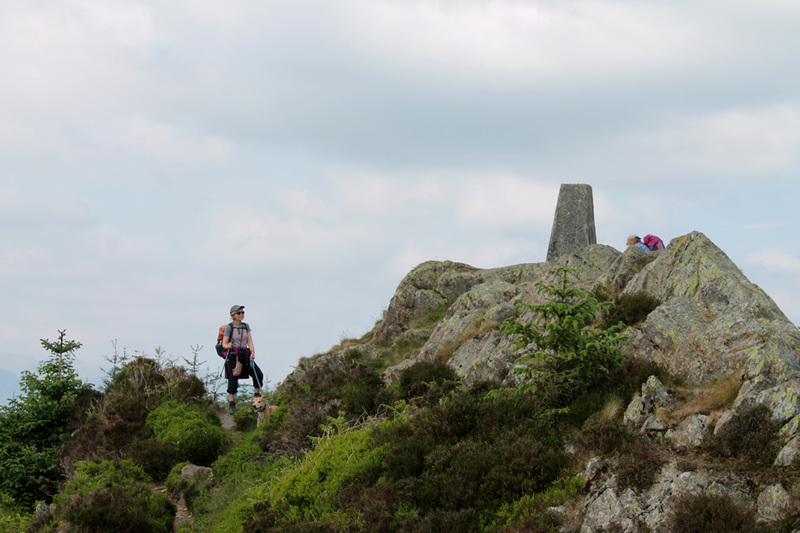 From the start I can hear the teams checking in on the radio as they make their way up Coniston Old Man. There's a slight cloud cover on the fell so the first teams up will be disappointed by the lack of view. Time passes . . . I enjoys a second breakfast of tea and sandwiches pinched from my lunch box. Later in the morning several groups of walkers out enjoying the forest trails make the summit and stop for a break or a photo. For most of the morning these were the only people I saw. About eight or ten groups of people passed by the summit . . .
. . . and Dylan and I spoke to most of them in a casual way. and it was time for another drink and hit the suncream bottle again . . . fortunately the midges were kept at bay by a slight breeze. The time sheet of the teams progress was filling nicely and no-one had yet got lost in the woods . . . so far so good. 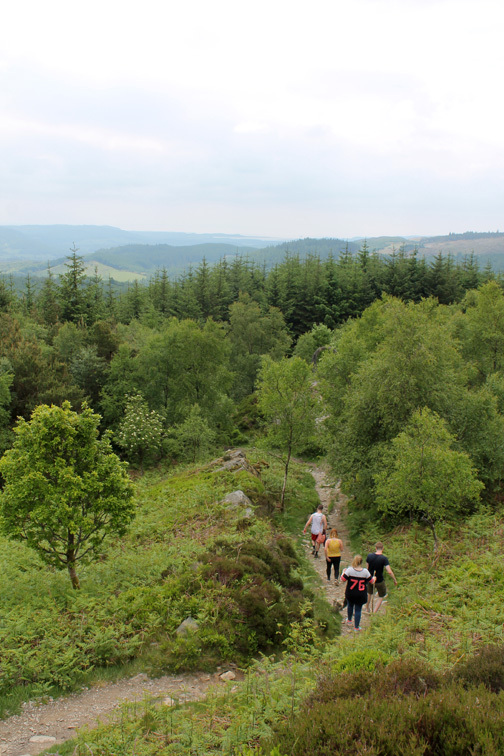 At around lunchtime two other walkers set off for Carron Crag on a forest trail. 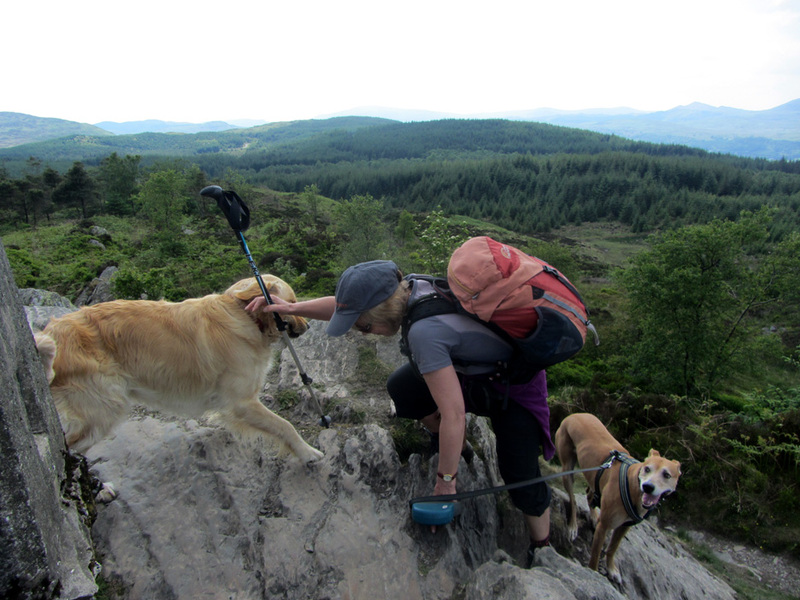 having been advised that anti-clockwise would have more gentle climbs and the steeper descent at the end. Their route took them up through the forest . 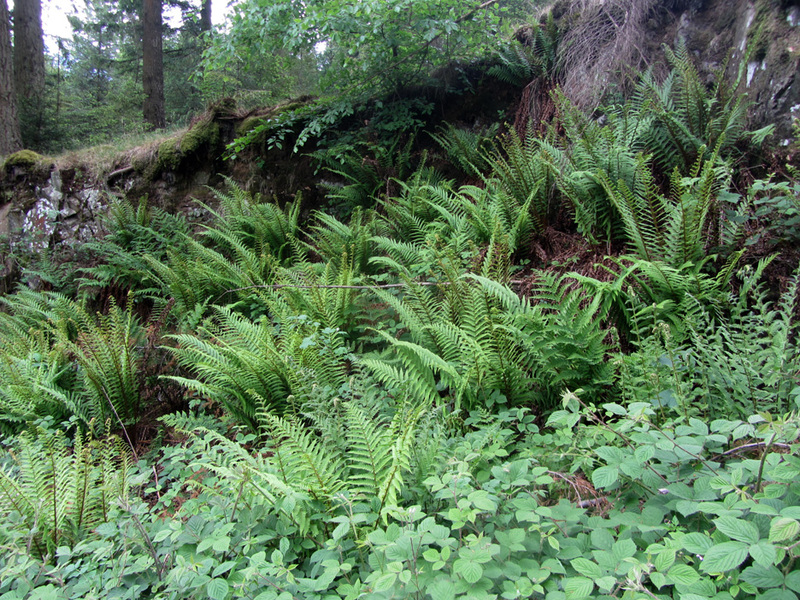 . . past lovely banks of ferns . . .
. . . and lovely muddy forest pools to cool down in. After a warm and rather extended circuit they appeared at the top. 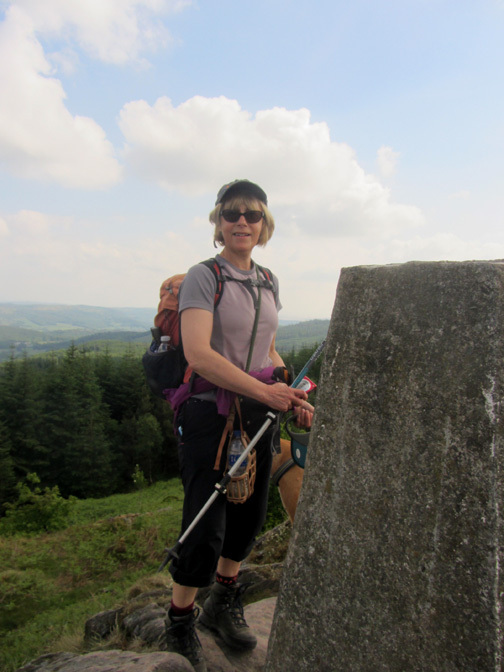 Ann is up at the trig point and Jo ready to climb the last 'rock face' before the summit. It would have been easier if Dylan hadn't gone over to greet them ! 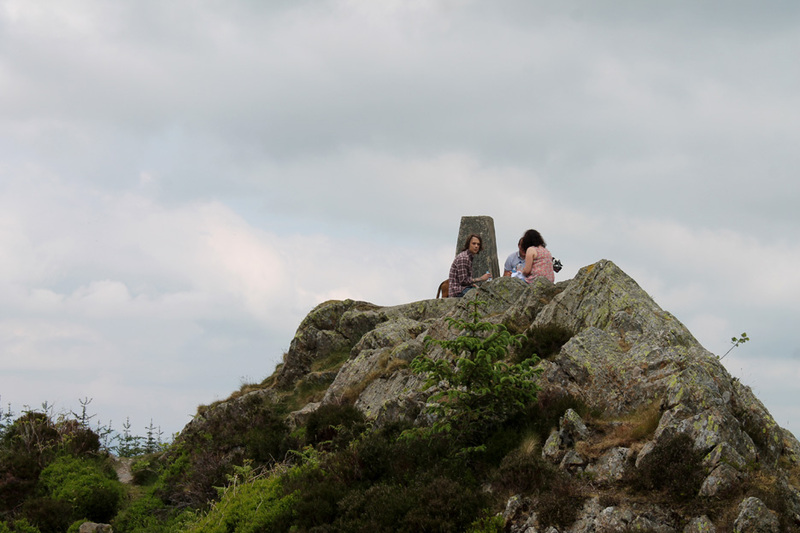 Ann's photo of Jo on the summit . . .
. . . and myself and my open air radio shack on the adjacent flat top. Welcome to "Challenge Relay" . . . do join me and have somewhere to sit for lunch. from the comments of teams on the radio. Still they all seemed to be "enjoying" the day and the time sheet was almost full. Unfortunately with tiredness comes inevitable errors where one forest track looks the same as another . . .
Ann and Jo held on while Base and I guided the last teams through the forest.
. . . but it took a bit longer than we had planned ! 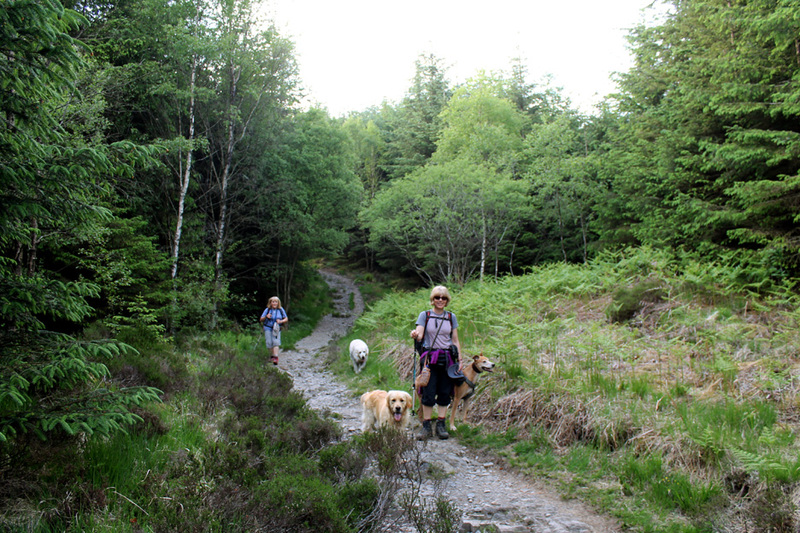 I packed away the gear and together the three of us descended back to Grizedale and the cars. Walking out through the dark section of the woods . . .
. . . thinking about where to have supper ? 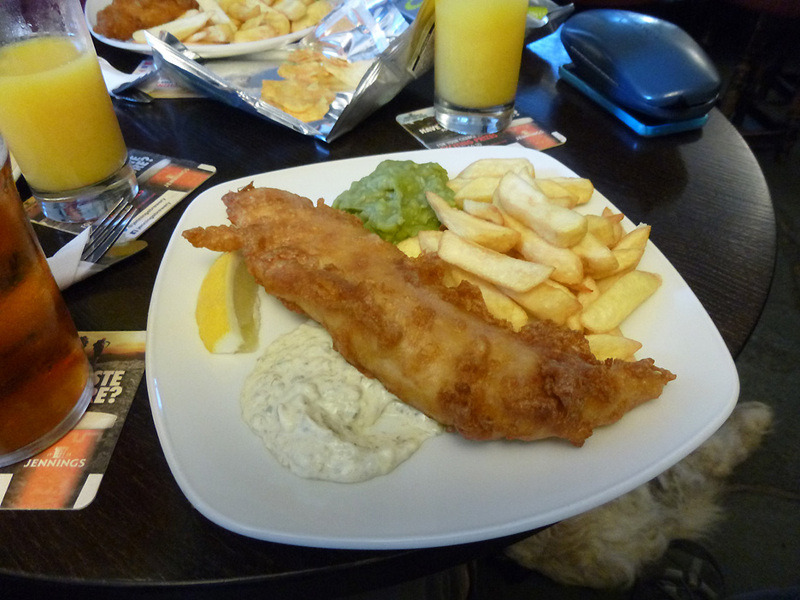 and a rather nice fish and chips in very quick time . . . full marks to this busy pub on this busy Saturday in June. This site best viewed with . . . a spare table in the cool back bar of the Brit.